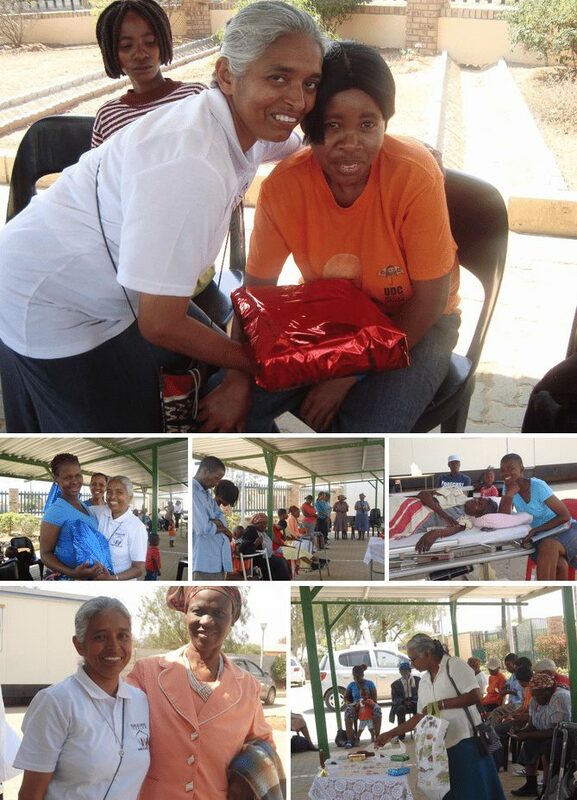 of Pabalelong Hospice. It was a day filled with joy and happiness for the patients and the staff as they celebrated five years. They had a prayer, shared about themselves, played games, and had a meal together before they left their homes with a small gift. Patients were brought by the relatives and the hospice in stretchers and wheel chairs. Twenty-one patients gathered together for the gathering.